Are you a creative entrepreneur? 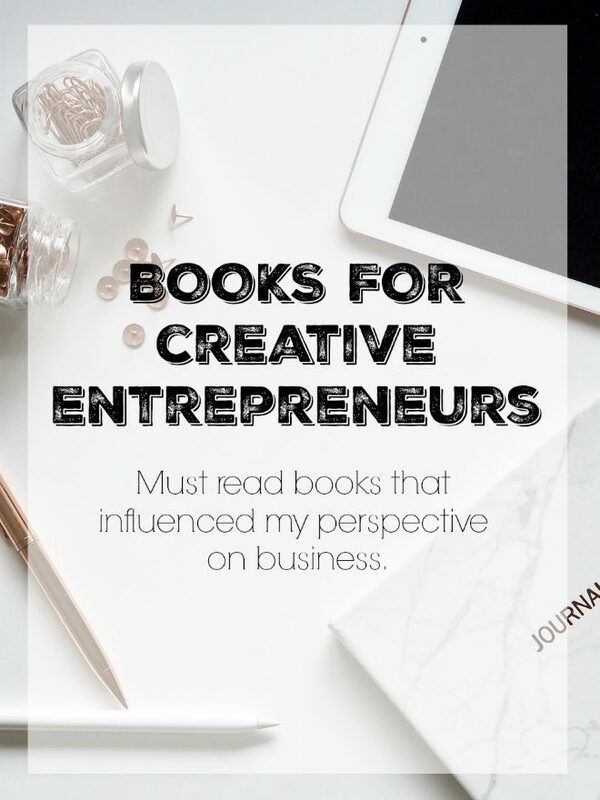 Read about some of my favorite books that provide valuable guidance, tips and motivation for creative entrepreneurs. Reading keeps my creative juices flowing. And since I switched to reading 80% of all books on Audible, I am able to listen to my favorite books anytime. 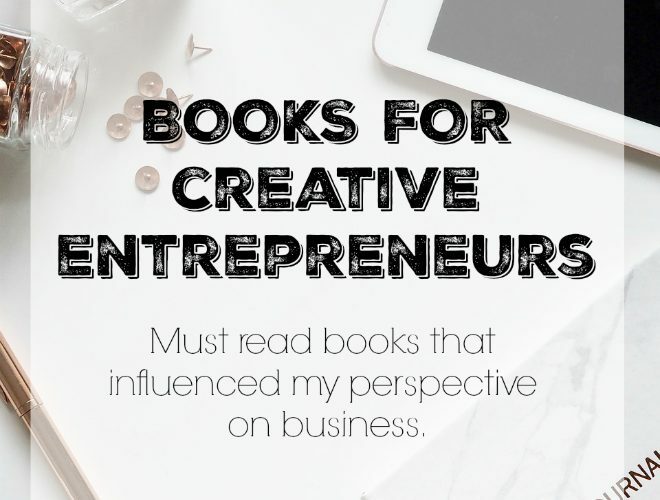 The list of books below are a few of my favorite books for creative entrepreneurs. 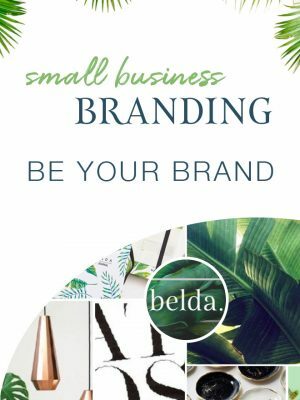 These books not only motivate and inspire, but also provide tips for building a successful business. Elizabeth Gilbert’s book is the reason that I quit my job to pursue my business full time. I read this book for the first time in 2015 while on a flight to a networking conference. I wanted to take the leap to pursuing my creative passion full time, but I was afraid of actually using my creativity to earn a living. Fear was the biggest obstacle holding me back from pursuing my passion. Big Magic gave me the motivation, desire and encouragement to take the leap and I am do glad that I did. If you read only one book from this list, Essentialism is the book that you need to read. I recommend this book to everyone, whether you are small business owner or not. Essentialism changed my mindset about SO many things. By shifting my mindset from a nonessentialist to an essentialist, this book changed my life. I’m a Type A, determined, motivated and willing to hustle like most entrepreneurs. Ever since college, I believed that hustling and working longer hours meant more productivity. I made many life decisions and business decisions because I thought I had to. After reading this book, I realized that I was doing many things that I didn’t necessarily have to do. Most of all, Essentialism teaches that if you don’t prioritize your life, someone else will. Because this book is so meaningful to me, I make it a goal to read it at least once every four months. Profit First makes sense yet it’s counter to everything you learn about basic accounting. Do you stress about paying your quarterly estimated income taxes? Or wonder whether you are going to have any money leftover as profit at the end of the year? 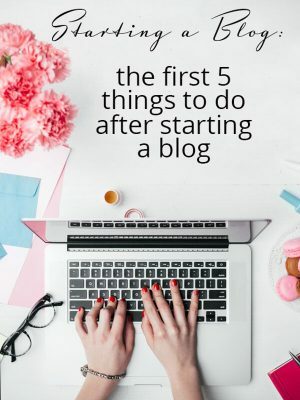 Michalowicz’s book teaches you the basic principle of paying yourself first and taking a profit first so that your business can continue to grow and expand. The principles in this book helped transformed the way I think about my business. My profits almost doubled after implementing many of the techniques in this book. While I loved You are a Badass, Jen’s second badass book, You Are a Badass at Making Money is even better. Making money should be fun. By practicing some of the money mantras and tips in this book, I changed my perspective on making money with my business. This book is motivating, fun and relatable. Up until I read this book, I had never read a book by Dave Ramsey. But after reading this book, I can understand why people want to work for his business. Ramsey shares lessons he learned from building his business and leadership qualities needed to succeed. Good businesses thrive because of good leadership and this book teaches you how to balance and navigate being a leader and an entrepreneur. Tribes are incredibly powerful. Without my tribe, I know that I would not be where I am today. Building a creative business is difficult and nearly impossible without the support of tribes. 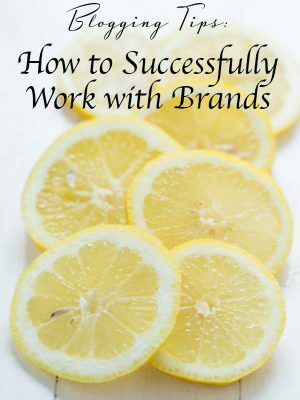 The book focuses on leadership, social change and how successful businesses create a movement. Many of the topics addressed in this book are the key to good marketing or leadership by creative entrepreneurs. Even if I wasn’t a creative entrepreneur, I would love this book. I’m also a fan of Tim Ferriss’s other books, including The 4-Hour Workweek which I also highly recommend for creative entrepreneurs. Through the course of interviews with top performers, Ferriss and his readers walk away with valuable and practical tools to implement in their own lives. I’ve started journaling, meditating and reading more thanks to Tim Ferriss and the wealth of knowledge gained from this book. What are your favorite books for creative entrepreneurs? I’m always looking for more books to inspire, motivate and educate. Tell me about your favorite books for creative entrepreneurs in the comments below. This post contains affiliate links. Please refer to our privacy policies and terms for more info. Definitely adding these to my Amazon list Ashley! Thanks!